From November 14, 2016 to January 17 2017 applications will be open. We LOVE creativity, so we've chosen to keep our applications as flexible as possible. We'd love to see videos, songs, essays, even visual art to help explain why you'd love to receive a YAW grant. The only requirements are that you answer these questions with your submission: How would receiving a Yes All Witches grant impact you and your art? What does your voice and your story bring to the fandom? Our application is now LIVE on this very website! Submit your application between now and January 17th to be considered. We'll take about a month to go through the decision process. Once we know who our first recipient(s) is/are, we will notify them by email and then announce on social media. Whether you are chosen for a Yes All Witches grant or not, or just a fan who would like to support our cause, you can always support a more diverse, open fandom! Attend a wizard rock show, encourage your favorite conferences to invite more diverse artist, or even donate to the YAW Grant Project. 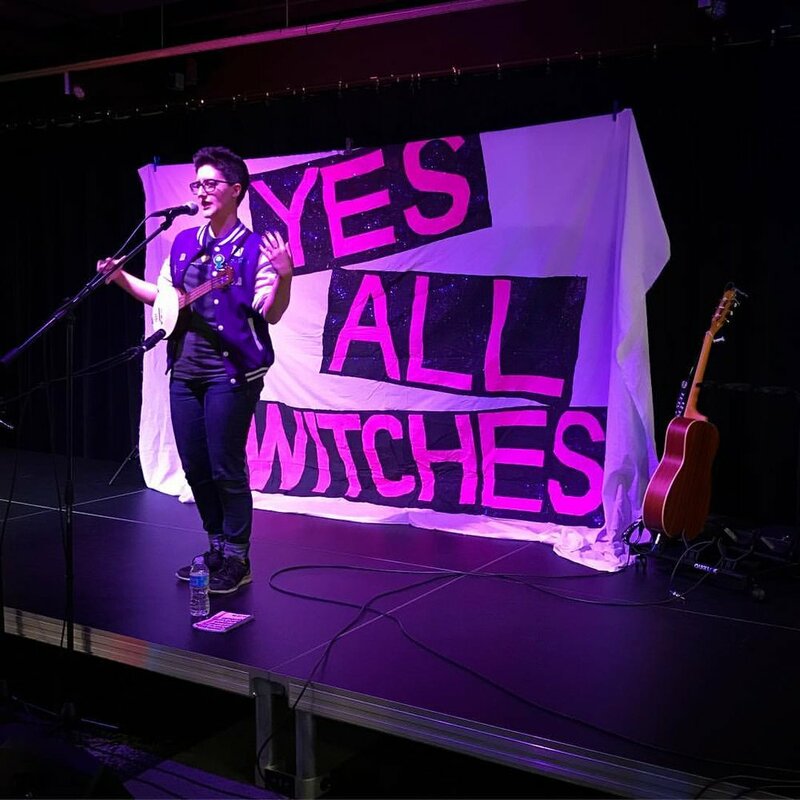 If you would like to contribute to YAW Grants now, you can shop at feministapparel.com with our coupon code YESALLWITCHES10 to save 10% and donate a portion of your purchase to YAW Grants!